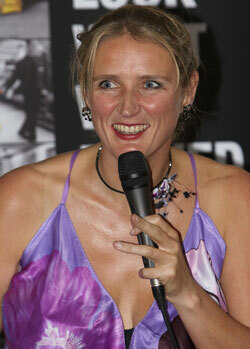 Suzy Madge is a record breaking ski mountaineer and adventurer. Her career is distinguished by astonishing achievements in a number of sports and expeditions, many of which she conceived, project managed and organised logistically herself. With her curiosity to see what she could do and desire to bring playfulness to all aspects of life, Suzy now offers her unique experience and insight as a speaker and life coach both in the UK and abroad. We all share a love of something. Ascent. As a toddler on a climbing frame, an alpinist on a mountain, or a businessperson on the career ladder, we love getting to and being on top. The route up is different for every playground, peak and company. During her presentations, Suzy highlights the similarities between surviving in wilderness and mountains and thriving in life and business. The combination of adventurer and psychologist gives Suzy a unique pespective on motivation, fear, success, team dynamics, groundbreaking ideas, responsible risk taking and happiness.